Insurance companies use many excuses to deny claims. 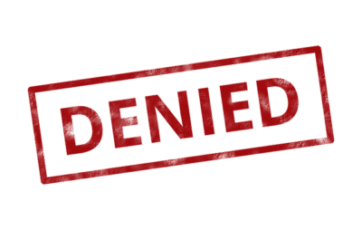 Although some claims are legitimate, insurers often convince beneficiaries that a valid claim is denied for valid reasons. Why Are Death Benefits Denied? Life insurance policies are only active as long as premiums are paid. If a payment is missed, the policy may lapse or terminate. Insurance companies often deny claims for non-payment of premiums and a lapse in the policy. A beneficiary should be aware of required 30-day premium-due notices that must be sent to the correct address warning an insured of an impending lapse. A life insurance claim may be denied if the policyholder failed to designate a beneficiary on the policy. State laws where the insured policyholder lives may influence how benefits are paid. When no beneficiary is named, insurance companies may delay or deny the claim, or pay benefits to the wrong person in some cases. Life insurance companies use a variety of exclusions that focus on the type of death. Many exclusions include dangerous conditions or activities like skydiving, rock climbing, scuba diving, extreme sports, and notably suicide. If a person dies under these conditions, the claim will likely be denied. When a person applies for life insurance, he/she is asked to provide various personal information regarding age, income, health, weight, hobbies, criminal history, etc. If a person fails to answer questions honestly or omits required information, the insurance company may deny the claim. All life insurance policies have contestability periods. Typically, the period remains in effect for two years after the date the policy takes effect. If the policyholder dies within the contestability period, the insurer has the right to contest the claim during further investigation. Many insurance companies use contestability as an opportunity to deny a valid claim.